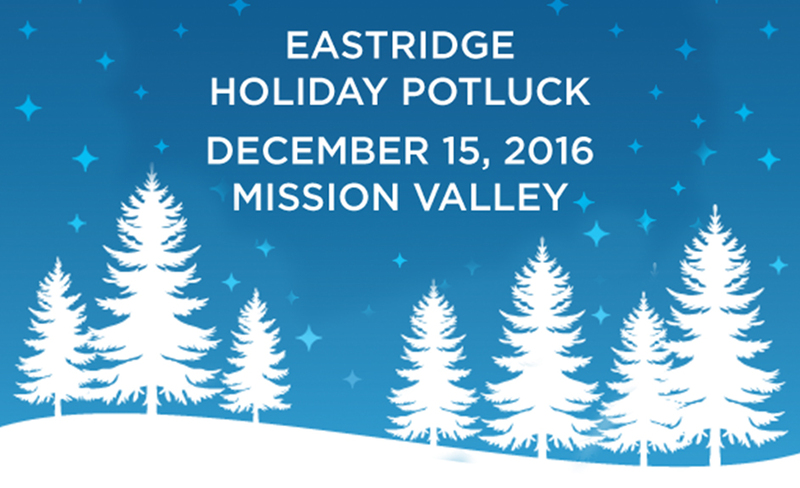 Eastridge has a longstanding tradition for celebrating the holiday season with a company-wide potluck. 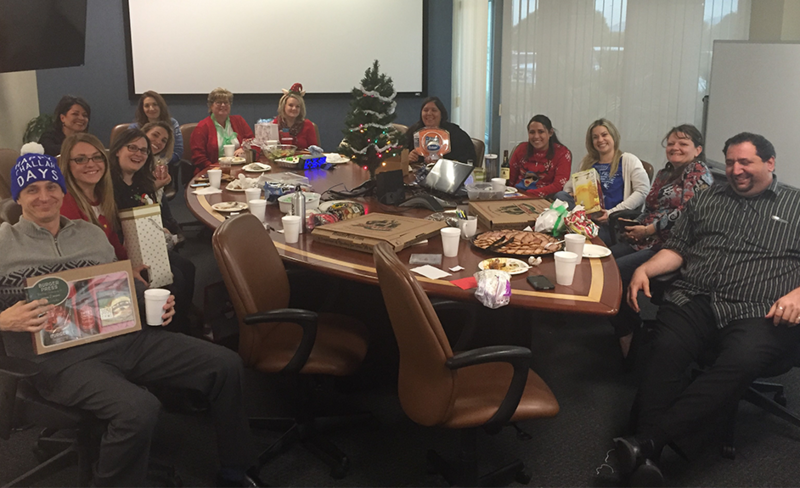 On December 15th, all of our office locations gathered together for an afternoon of food and festivities. 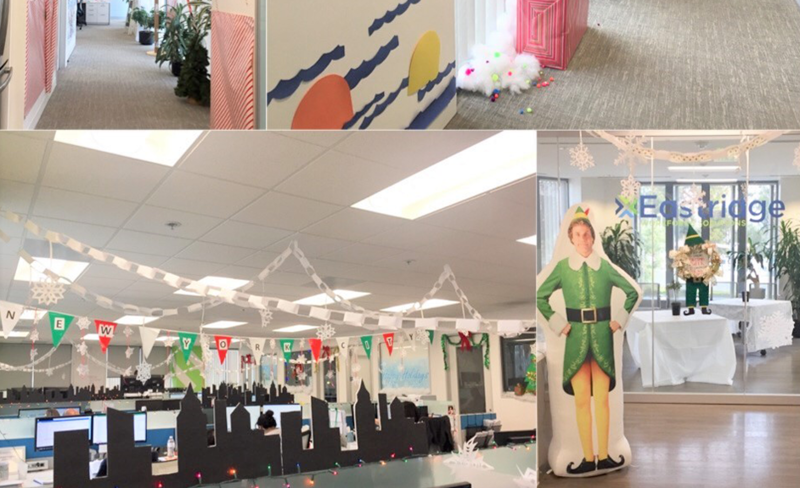 At our San Diego office, each suite catered to a specific genre of food, including appetizers, desserts, and holiday-themed drinks. In addition to the potluck, Las Vegas hosted a unique twist on the classic White Elephant gift exchange. Each person that brought a gift had to put a random fact about themselves on the gift they brought and keep it anonymous. If the person that chose the gift matched the correct person to the trivia, they were able to make a steal after the gift was already unwrapped. It was a blast! 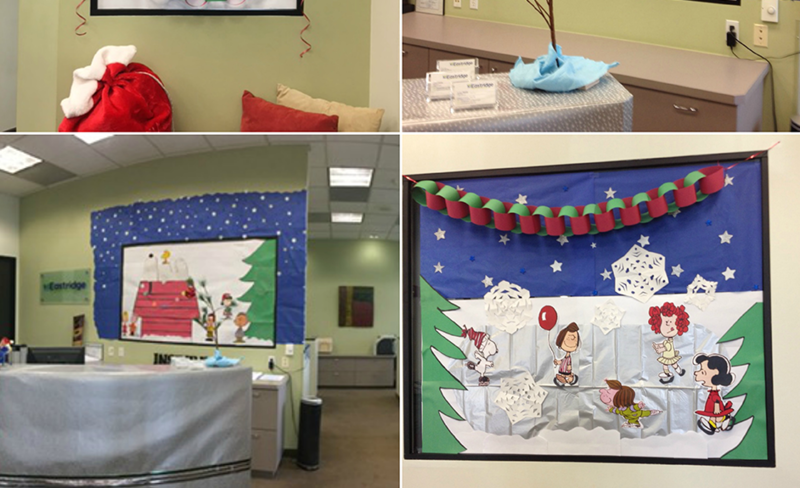 Our office decorating holiday contest was also a huge success. 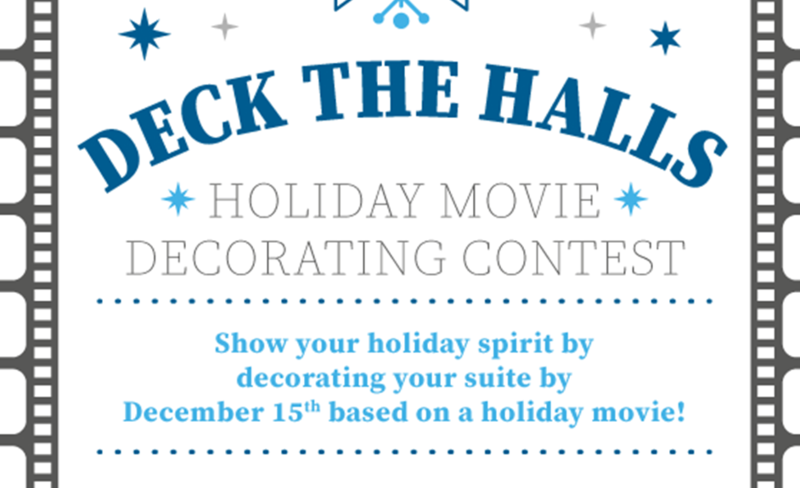 Every suite got creative, pulling out all the stops while celebrating some favorite holiday movies. 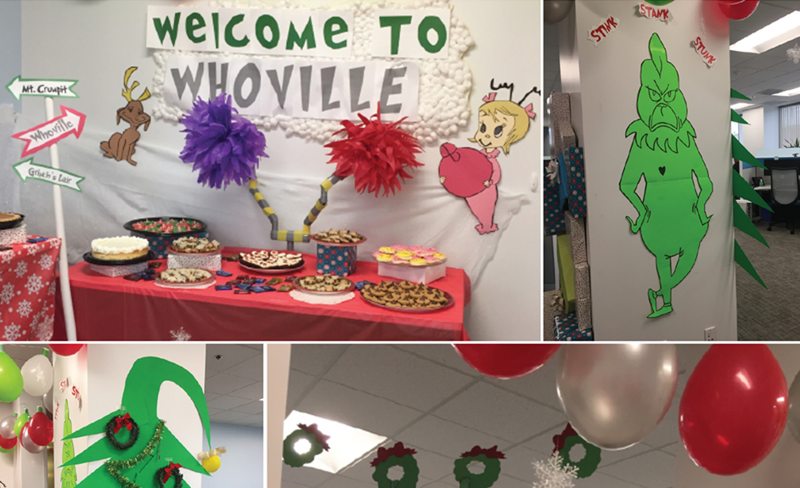 While “How the Grinch Stole Christmas” and Charlie Brown made appearances, Suite 200’s “Elf” wonderland stole the show. Thank you to everyone who participated and voted in this year’s contest! 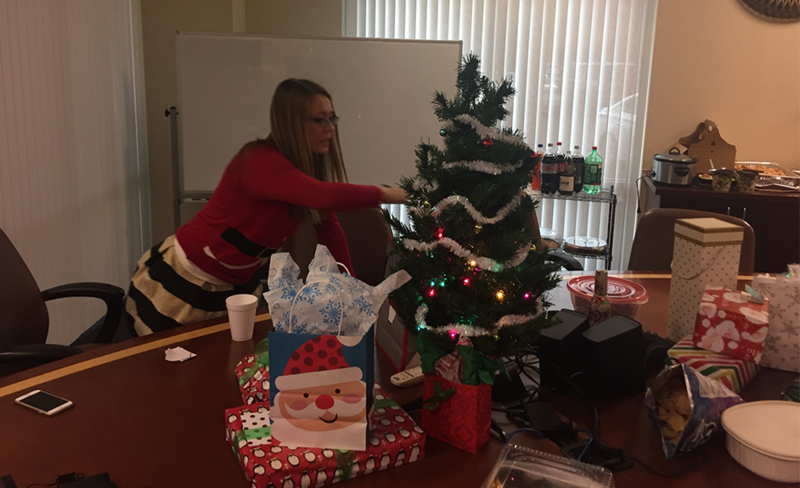 With the help of some wonderful charitable organizations, our various Eastridge locations were able to spread some holiday cheer to the local community this holiday season. 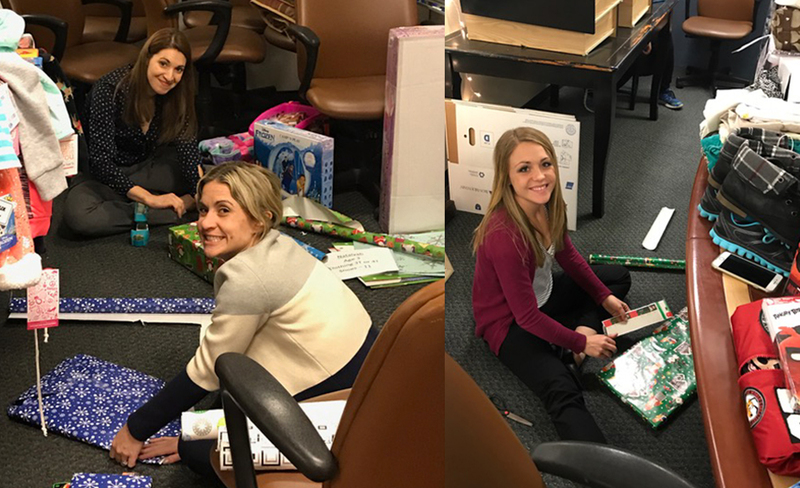 From Adopt a Family with SAY San Diego to The Salvation Army Heart for Others toy drive and more, our employees made the effort to make the holiday season brighter for some families. 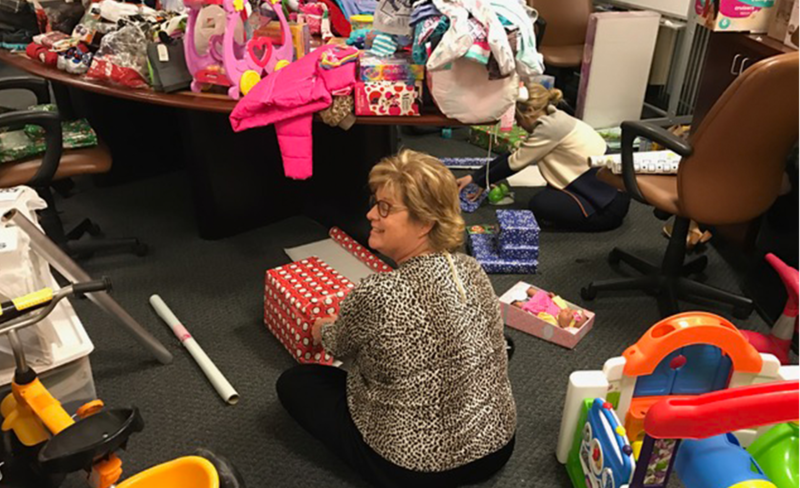 Remember our Las Vegas teams that adopted a family of 11 for the holidays through the Department of Family Services? 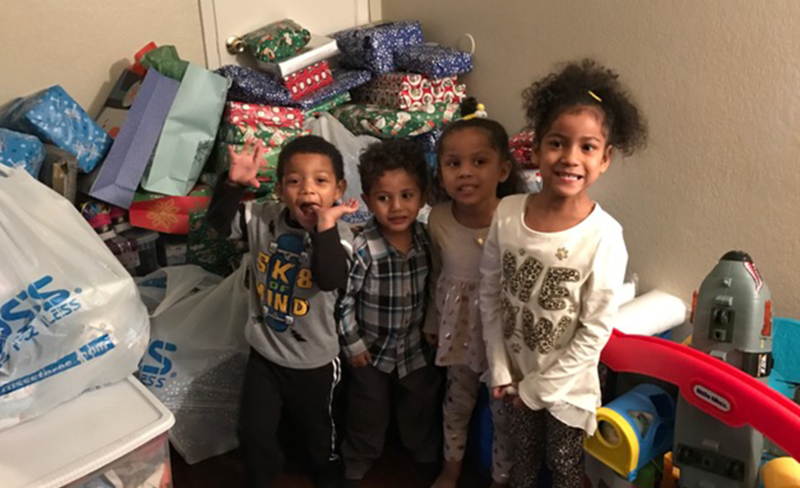 On December 22nd, they hosted a gift-wrapping party before personally delivering the donations to the family’s new home. Cheers to making the holidays a happier time for such a deserving family. Eastridge is looking forward to the adventure of a new year. We hope you had a wonderful holiday season with family and friends!